Spooky House Productions - Skeletons ! I use them everywhere in my display and purchased several from Anatomical Chart Company. 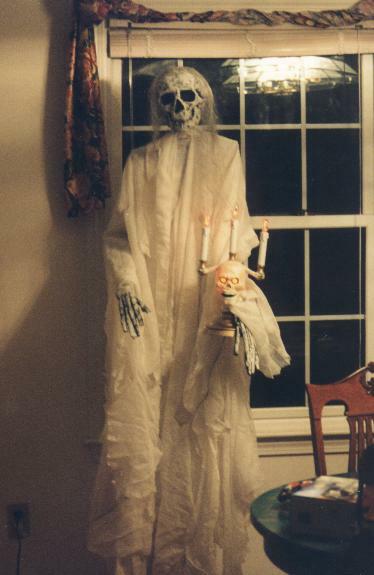 The skeleton holding the candelabra was made with a papier-mache skull and bones attached to a plywood cut out for the torso. I built it the first year of my display along with some others, but it's the only one left that hasn't fallen apart. I used a full size skeleton for the cage prop based on the design by Brian Lorsung.